“Cape Coast hospital in distress; threatens to deny NHIS card holders care” (Daily Graphic front page, Wednesday 27th March 2019). Pursuant to this publication, the media air space in Accra got inundated with calls and expressions of frustrations towards Ghana’s National Health Insurance Scheme (NHIS). The Ag. CEO of the National Health Insurance Scheme, Dr. Lydia Dsane-Selby later responded to journalists on Citi FM, explaining that the NHIS had contacted Cape Coast hospital and that the issue has been resolved, apparently. Thanks to Citi FM’s rightful journalistic decision. They contacted the NHIS, but not, the office of the Vice President or even the Ministry of Health. Truth is, Cape Coast hospital isn’t the only facility badly affected by NHIS claims reimbursement delays. In any case, should other facilities also issue threats and be contacted by the NHIS? Quite recently, the private medical service providers in the Upper East Region served notice of possibly severing service to NHIS card providers. It sounds like as a people we simply prefer to show emotions and go to sleep, waiting for the next turn of an event; God knows when. Prior to the current bruhaha, the Central Regional Director of Health Services bemoaned the delays in reimbursement of claims, which was affecting healthcare delivery within his catchment area. Late last year, the Bolgatanga Regional hospital in the Upper East Region had issued a public notice of cash charges for laboratory services (this will later be pulled down with an apology the next day). These genuine healthcare concerns from healthcare managers, in my opinion, are not necessarily the making of the government of the day and government ordinarily ought not to be blamed, except that they strayed into the issues, berating the previous government and making a political meal out of the weaknesses in the NHIS activities. Rather troubling, service providers who make public pronouncements on claims payment delays often than not, are tagged as opposition to a ruling government, yet healthcare facilities in the country are hard pressed as everyone in the health delivery continuum is affected (administrators, patients, doctors, nurses, midwives, etc). My concern is; why would we, as a nation, reduce healthcare financing issues to political gymnastics and not hold the National Health Insurance Authority (NHIA, not NHIS) responsible for the poor performance of the National Health Insurance Scheme. The only reason in my mind is probably because politicians have hijacked the NHIS issues as though, it is a political joke like GYEEDA and NaBCo. I propose that politicians should refrain from publicly commenting on matters of National Health Insurance Scheme. Let Ghanaians own it and freely confront the board of directors, the NHIA, on the abysmal performance of the scheme. Flashback: The current government, led by the Vice President, had declared on several platforms, that it has cleared arrears due to accredited service providers and that “We promised to revive the NHIS and we have cleared the GHC1.2 billion arrears inherited under the NHIS. The NHIS is working again…” Vice President Dr. Mahamudu Bawumia (www.ghanaweb.com, General News of Monday, December 31, 2018). This statement from the respected economist sounds as though the NHIS was a contractor who had rendered service of which the contract sum had been settled and therefore let's go and sleep. For the purpose of argument, let us also remind ourselves that, the previous government had promised a one-time premium for perpetual membership to the NHIS as a political campaign message. They will later chicken out of the ill-conceived idea, without thinking twice. Several other political calls have been churned out by politicians to unsuspecting Ghanaians, using the purchaser-split model for political points. Fact is! The National Health Insurance Scheme became law in 2003 through an act of parliament (Act 650) and was actively rolled out in 2005 (under the then Kufour’s government). Subsequently, Ghanaians owned and are users of the scheme. Over the years, the scheme has grown and survived threats and is still alive and envied by our neighbors. Truth be told; the NHIS is modeled with complexities but is being utilized at an unpredictable rate to an extent that, making political pronouncements on the scheme’s activities is suicidal. With Ghana’s poor and unreal-time records-keeping quack mare, it is almost impossible to predict monthly bills per facility to be accrued to NHIS in ensuing months. Simply put, each day, the NHIS is incurring costs in millions of Ghana cedis to be claimed by service providers, difficult to exactly quantify. Additionally, the NHIS has suffered enough abuses. It is alleged that MPs receive periodic funding allocations from the NHIS, so-called monitoring allowances. In 2013, it was the now-defunct GYEEDA, which dissipated close to GhȻ40 million of NHIS funds for activities that yielded no health benefits at all (GYEEDA Report, 2013). Very recently, it has been reported that the current government used a whopping GhȻ163.66 million of NHIS funds to pay nursing students allowances in fulfillment of a campaign promise (www.ghanaweb.com, General News of Sunday 31 March 2019). This funny behavior of successive political leaders is attributed to the fact that funds meant for the NHIS are lodged in the consolidated account. As results, health policy experts have suggested copiously that, a separate account be created to decouple NHIS funds from the consolidated accounts, to guarantee some managerial independence and minimize direct government interferences. The other probable reason for the gambling of our healthcare funds is the situation where a sitting president is vested with unfettered powers of appointing the CEO of the National Health Insurance Scheme. Suffice it to say, whatever the challenges of NHIS, the scheme cannot fail. It is the only viable option with which the poor, the needy, the weak, and the vulnerable can access health care in Ghana and so a failure of the NHIS is not an option on the table. It just has to work. Essentially, it is in our interest to appreciate the workings of the scheme. For example, while we sleep, work or walk about the street, NHIS funds are being consumed by Ghanaians or foreigners pretending to be Ghanaians like the way electricity is consumed in Ghana, legally or illegally. This happens each day each moment, nonetheless, there is a mismatch between revenue generation of the NHIS and expenditure margins thereof. Ghana’s population is estimated at 28,102,470 with a birth rate of 30.2 births/1,000 populations and a death rate 6.8 deaths/1,000 populations as at July 2018. In other words, per 1000 people in Ghana, there is an estimated gain of about 24 people annually. In extrapolation, Ghana increases by approximately 672,000 people each year with a 3.9 total fertility rate (Maternal Health Survey report, 2017). This explains a projected gain of about 5 million people between 2010 and 2020. According to the 2010 population and housing census, approximately 43 percent of Ghana’s population is within the dependent range i.e. less than 15 years and greater than 65 years. The remaining 57 percent holds an estimated 10.2 percent pregnancies each year (not childbirths). May I chip in that pregnant women enjoy [or are supposed to enjoy] FREE, total and comprehensive maternal health care policy from the national health insurance scheme. Consequently, an estimated 14 million Ghanaians are the actual targets of direct contributors to the NHIS. Per the 2013 annual report of the National Health Insurance Authority (the latest report available), roughly 10 million Ghanaians are active members of the National Health Insurance Scheme. Let’s remind ourselves that approximately half of the NHIS active cardholders enjoy FREE care, while the remaining half contribute an average of Ȼ23.00 ($4.9) per annum for the benefit of all active cardholders. Significantly, if service providers submitted claims of GhȻ900 million annually (and they did submit GhȻ785.6 million in 2013), only 37.2 percent of the active NHIS card holders contribute to settling that. Mathematically impossible. The remaining 62.8% contributes nothing except if they bought a grocery from a supermarket with a VAT invoice i.e. the 2.5 NHIS levy. How many Ghanaians go to the supermarket and how many supermarkets have VAT invoices anyway. Also note that, those who do not contribute actively (pregnant women, aged, and children are rather the rampant users of our healthcare facilities). This is why health insurance scheme is referred to as a social policy and cannot be left to fail. Unfortunately and almost as a model, politicians will spew ‘gibberish’ on the podium about NHIS to canvass votes, probably with little or no understanding of the issues. The critical funding gap between revenue accrued to the scheme versus expenditure due the scheme has been poorly handled so far. For example, in 2013, the NHIS received a total ‘revenue’ of Ȼ904.30 million and expended Ȼ1.1billion, leaving a net operations deficit of Ȼ96.80 million. The situation hasn’t changed yet. Critical funding gap still persists, so why would politicians seek to score empty political points? Why would a sitting Vice President find solace in technical matters such as the NHIS? Why are politicians denying right thinking Ghanaians the needed opportunity to ask questions on the NHIA performance? Politicians’ unguarded remarks and reckless appetite on the NHIS matters is nauseating, to say the less. Their day to day political gymnastics on the NHIS is leading us nowhere. Politicians’ attitude towards the scheme is clouding Ghanaians judgment on who should be held responsible for the failures of the scheme. My humble proposal is that our political leaders should be lobbying international agencies and voting money from parliament to widen the funding scope of the scheme and not brag about claims payment. That is not within the functional jurisdiction of politicians and political parties. It is even not within their supervisory jurisdiction. I also proffer that, the appointment of a Chief Executive Officer for the NHIS should be premised on competence, track record and one’s vision/policy objectives but not at the whims and caprices of a sitting president. Perhaps, it is useful to suggest again that annual financial audit report of the National Health Insurance Scheme should be submitted to the Auditor General and copy parliamentary select committees on finance and health. Conclusively, Ghanaians will have to appreciate the magnitude of our healthcare problems and willingly make some sacrifices towards our healthcare needs. 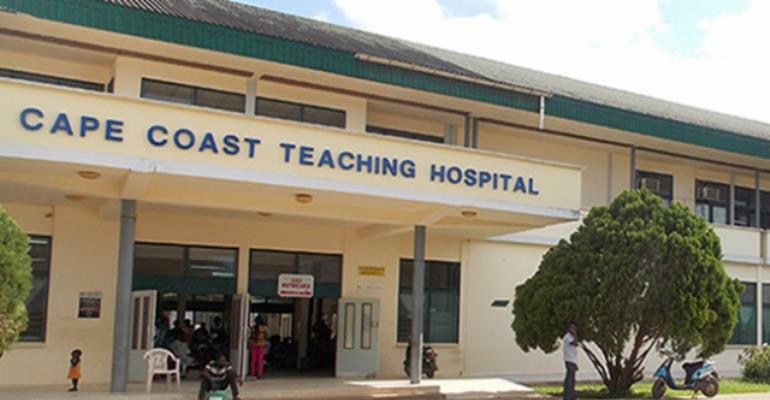 The Ghanaian tax payer’s contribution to healthcare financing should be re-examined. In the UK for example, workers pay between 20-40 percent of their gross income, less £7,225 as taxes or 9 percent of taxable income for private businesses or £2.5 per week (regardless of one’s weekly earnings) to the National Insurance. Of the total revenue accrued from tax in the UK, 10 percent goes into financing the UK National Health Service (analogous to Ghana’s NHIS). Consequently, UK has an ambulance system next to none, funded by the UK National Health Service (NHS), and needless to say; if ‘top’ class Ghanaians are sick, they fly to the UK for treatment, sometimes at the expense of the Ghanaian taxpayer. In other jurisdictions, alcohol, sugary drinks, and tobacco are taxed to fund healthcare. Workable funding models can be replicated in Ghana albeit, with modifications, if we stop playing chess with the National Health Insurance Scheme and start to think outside the box. Let’s STAY FOCUSED!